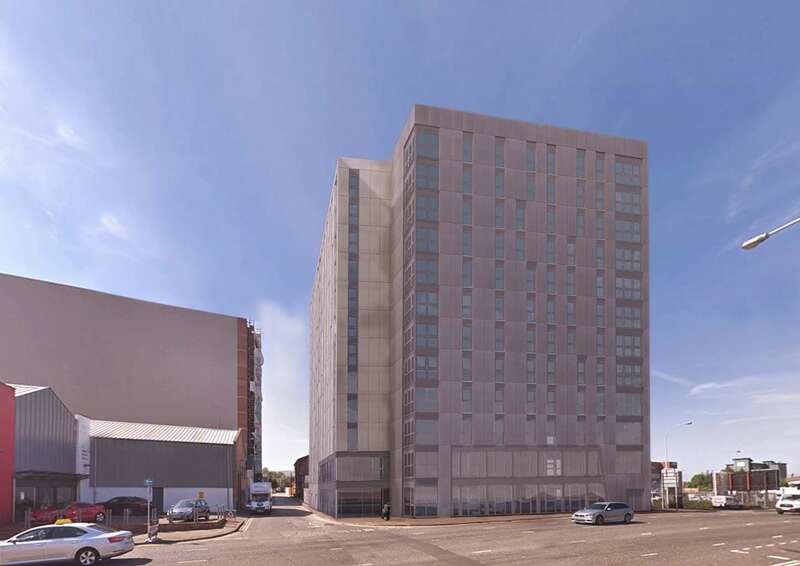 The 430 bedroom development occupies a prominent corner site in the city centre, providing a vertical addition to the continuously expanding Belfast skyline. The accommodation is contained within a singular block uniquely broken up by the innovative use of ribbon windows and distinguished further by the use of two differing cladding decors to define the two street elevations. Containing cluster flats, studio apartments, the scheme includes ground floor amenity spaces with a central landscaped courtyard.